For the sailor, swimmer, diver, fisherman, and armchair naturalist, here are fascinating tales and useful facts about the dangerous creatures found in the oceans of the world. EDWARD R. RICCIUTI was the curator of publications for The New York Zoological Society (the Bronx Zoo). 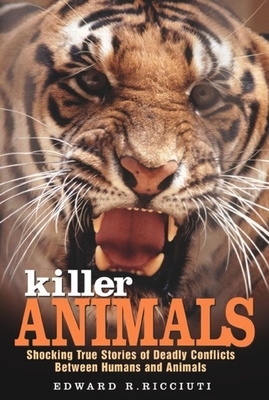 He is the author of "Killer Animals" (page 52) and a frequent contributor to "Audubon, National Wildlife, Animal Kingdom," and "Natural History" magazines. He lives in Killingworth, Connecticut.